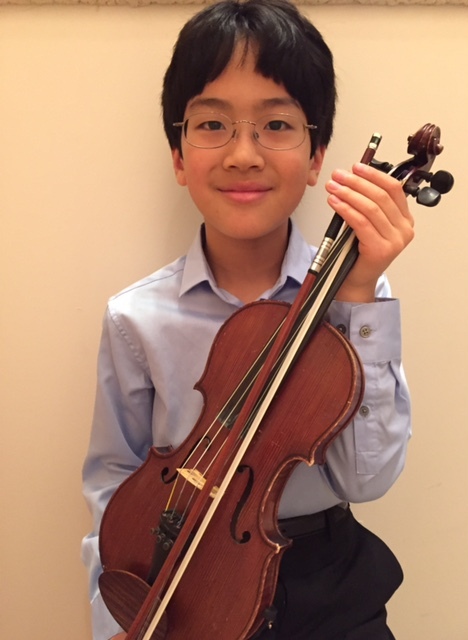 Tokuji Miyasaka, age 10, began studying violin with Becky Miller at age 4 and is currently studying with Meredith Arksey. He was awarded gold medals at Musicfest Northwest in Spokane, WA, in 2015 and 2016. He was also selected to perform on honors recitals at the Japan-Seattle Suzuki Institute in 2016 and at the Walla Walla Suzuki Institute in 2015. Tokuji plays first violin in his youth orchestra. His other interests include playing with Legos, math, soccer, and tennis.